a1, a2, Kollywood » Happy Birthday, Mani Ratnam! 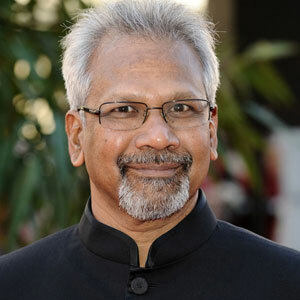 On the 2nd of June, Mani Ratnam turns 56! Easily one of the most loved film directors in the country, Mani Ratnam is also one of the Indian directors, whose films have been featured in the Top 100 Films of the world, as suggested by Time Magazine! With his film ‘Nayakan’, Mani shares this honor with three other Indian directors, Sathyajit Ray, Guru Dutt and Raj Kapoor. He made his directorial debut with the Kannada film Pallavi Anu Pallavi in 1983, and followed this with the Malayalam film Unaru (1984) and the Tamil film Pagal Nilavu (1985). Ratnam came into prominence after Mouna Ragam (1986), a film about the friction between a newly–wed couple. He made his Telugu debut with the National Film Award winning Geethanjali (1989), which was critically acclaimed and a major commercial success. Ratnam is also known for his “Terrorism trilogy” consisting of Roja (1992), Bombay (1995) and Dil Se.. (1998). Mani Ratnam is married to renowned actress Suhasini. In 2002 he was honoured with the Padma Shri, the fourth-highest civilian award given by the Government of India. Ratnam has won several film awards, including six National Film Awards. He is currently busy shooting for his Tamil film ‘Kadal’. Cinedairy.in wishes the director a very Happy Birthday!